← Ropeless Jump Rope is not a Jump Rope! 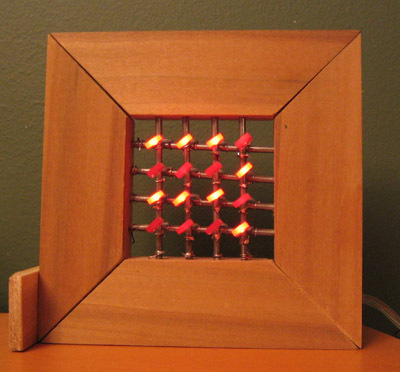 A few years ago, when I finally got around to learning PIC programming, I decided to I wanted to create something that would run LED animations on a small 4×4 matrix. I liked the idea of the small 4×4 size because I was starting with a PIC 16F628A. 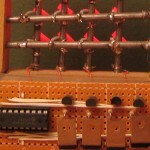 This chip can not directly control the 16 lines necessary for an 8×8 matrix (unless you get fancy). Also the 4×4 arrangement just seemed easier to work with in terms of coming up with different patterns. And the patterns would require less memory. 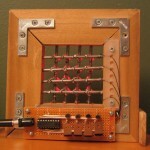 One frame on a 4×4 matrix is 16bits or just 2 bytes, but on an 8×8 matrix, a frame would require 8 bytes. 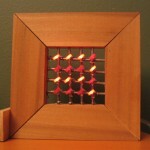 Check out more interesting categories: Circuits, Consumer, DIY, Educational, Entertainment, Gadgets, LED, Misc, Video. 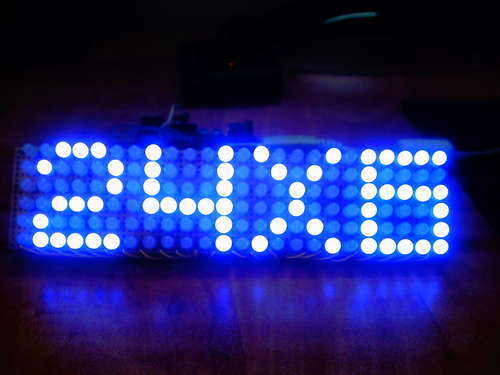 LED DIY – How to Make a 24 by 6 LED Matrix Display! 32 inch Digital Picture Frame! 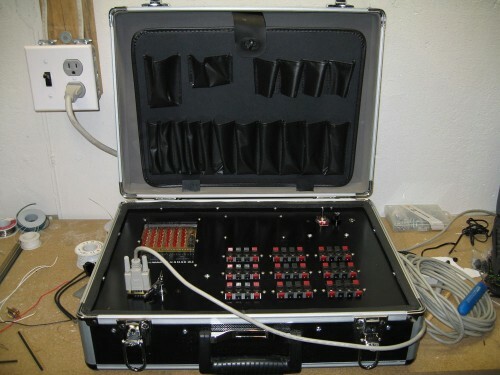 Pyro DIY – Fireworks Ignition Control System using Parallax SX48! 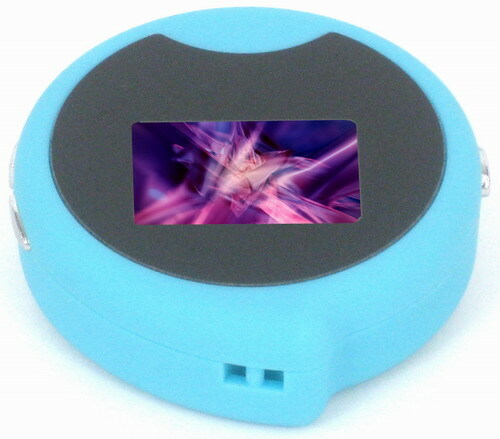 1.1-inch Keychain Digital Photo Frame! 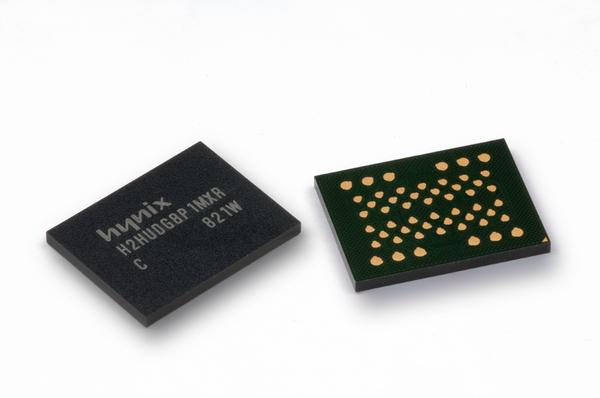 World’s First x3 32Gb Flash Memory NAND by Hynix Semiconductor! 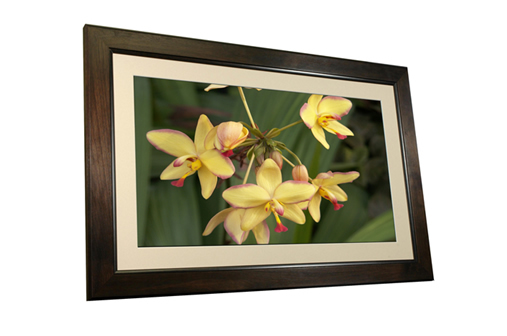 Top 5 Features to Look for When Buying a Digital Photo Frame! 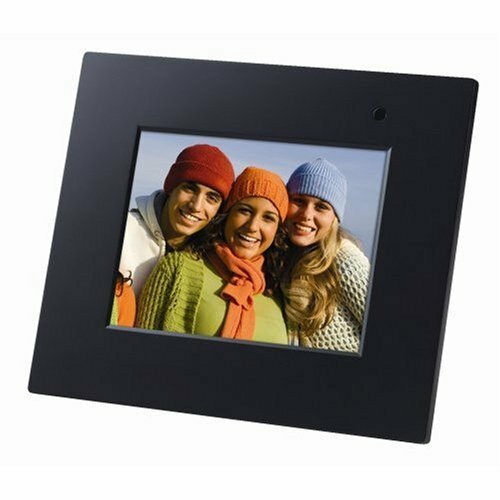 8″ Digital Picture Frame with MP3 Player! Business Card Hack – Business Card USB Flash Drive!